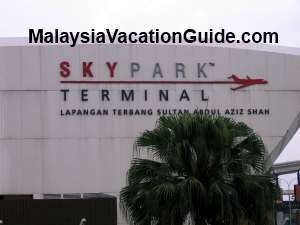 Subang Skypark Terminal used to be called Terminal 3 that served as the domestic airport for jet planes such as Aerobus and Boeing. Since 1998, Malaysia Airlines and other major airlines have shifted their base to Kuala Lumpur International Airport (KLIA). Similarly, AirAsia has also relocated to KLIA2. 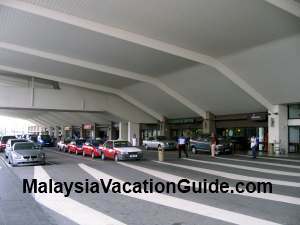 The KLIA2 terminal is used to cater for low budget airlines such as AirAsia. Terminal 3 was then used as the airport for turbo propeller planes such as Berjaya Air and general aviation. 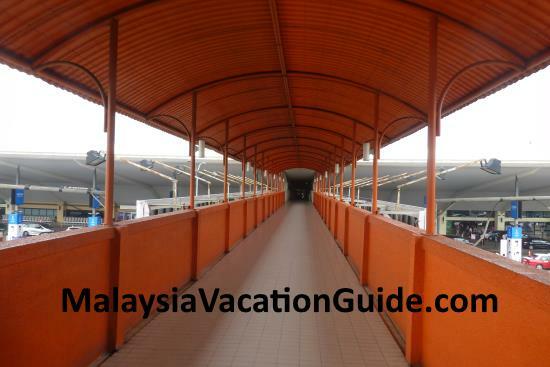 It undergone extensive renovation work in 2008 and was completed in 2009 with a new name known as Subang Skypark. 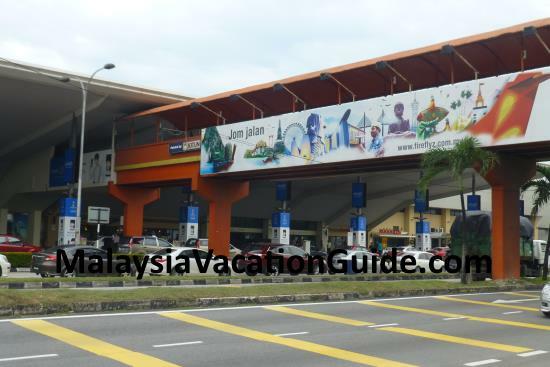 It is also known as Sultan Abdul Aziz Shah Airport. 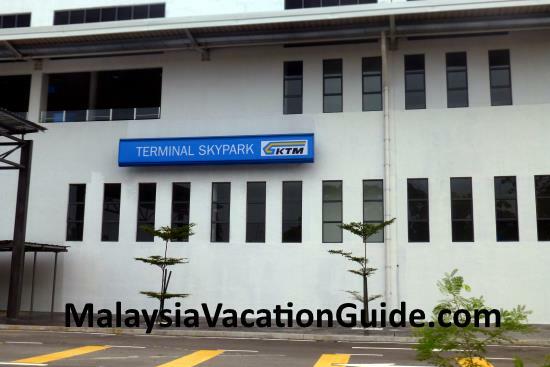 This terminal is nearer to the city of Kuala Lumpur and Petaling Jaya. 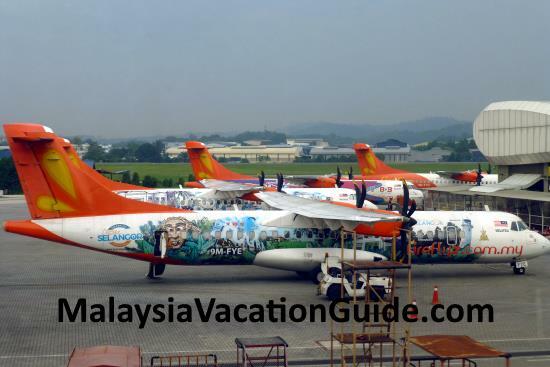 Today, Firefly Airlines is the low cost no-frills budget airline that uses this terminal. 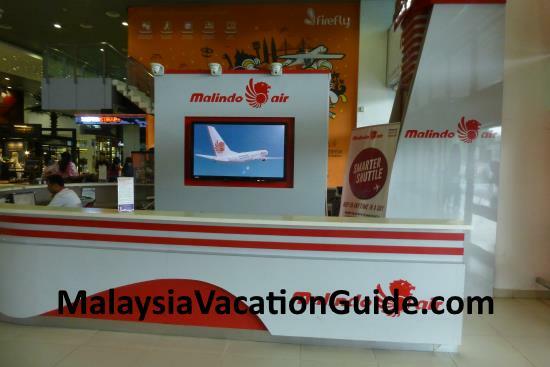 Malindo Air also operates from here. Berjaya Air and cargo carrier Raya Airways are also using this airport as the base for their planes. The main entrance to the airport. Notice the many taxis dropping and picking up customers. Most of the good rates are offered online and promotional tickets for advance bookings are held throughout the year. Use web check-in to save the cost incurred compared to if you were to do manual check-in at the counters. Further information can be obtained online or call +60 3 7845 4543 from 8am to 9pm daily. The Firefly and AirAsia Ticketing Offices. Further information can be obtained online or call the Customer Care Centre at Tel : +603-7841 5388. 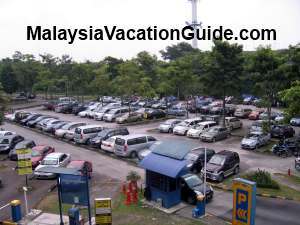 If you are driving and prefer to leave your vehicle at the airport, there is a big parking bays opposite the entrance of Subang Skypark Terminal. It is managed by Smart Interpark. The hourly rate is RM3.20. If you park for 10 hours, the rate will be RM32. There is no flat rate for a full day parking being offered currently. Always remember to remove your valuables from your vehicle and lock it as you are parking at your own risk. This modern terminal has all the basic facilities that are expected of an airport. Food and beverages are available for your convenience while waiting for your flight. See the shops and other basic facilities below. McDonald fast food has an outlet here. Walk to the end of the terminal and you will not miss this restaurant. Subway outlet serves a variety of sandwiches. 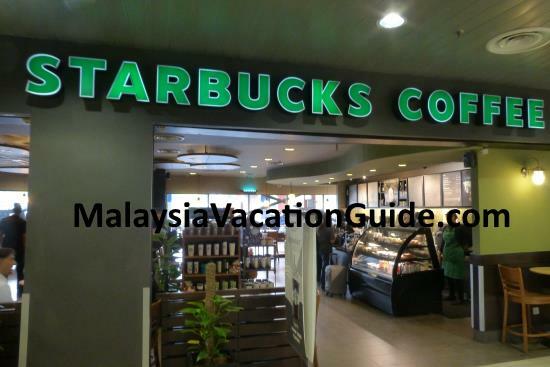 Starbucks Coffee is the place to have a cup of coffee and chat with friends before departing or while waiting for your friends. Old Town White Coffee serves bread, coffee, noodles, rice and typical Malaysian food. Chicken Rice is another restaurant located at the ground floor. Sushi outlet is also here if you are into Japanese food. 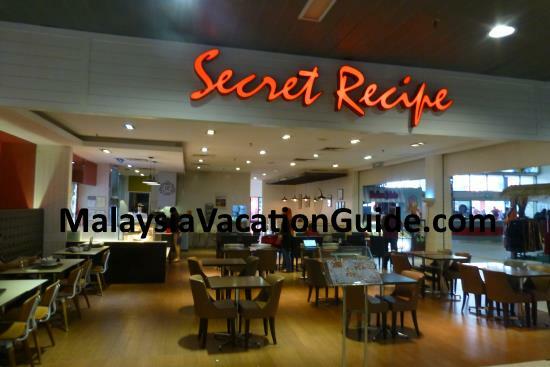 Cafe Sederhana and Kampong Kravers are other food outlets that you can choose for your meals. Pos Malaysia is also here if you are thinking of sending letters back home. 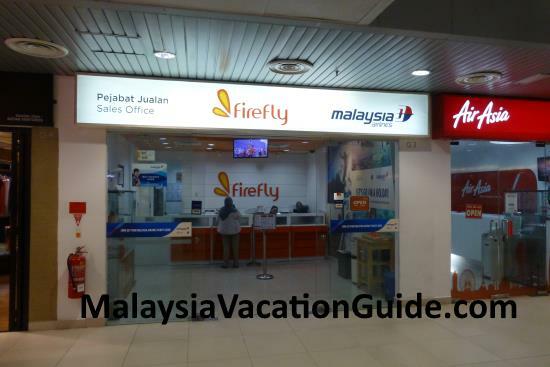 Firefly, Malindo Air and AirAsia offices are all located at the ground floor of the Subang Skypark Terminal. CIMB Bank has a branch here. Money changer facilities are located both at the ground and first floor. 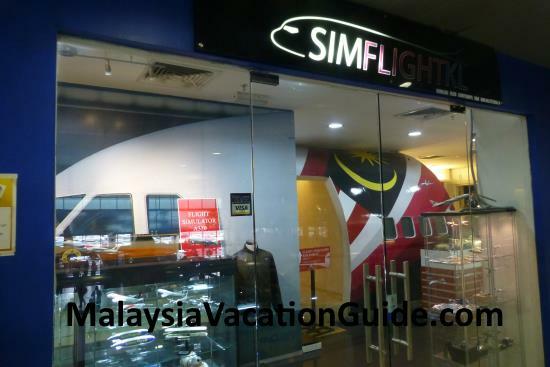 You can also try the flight simulators for Airbus A320 or Boeing 737 planes for a fee. 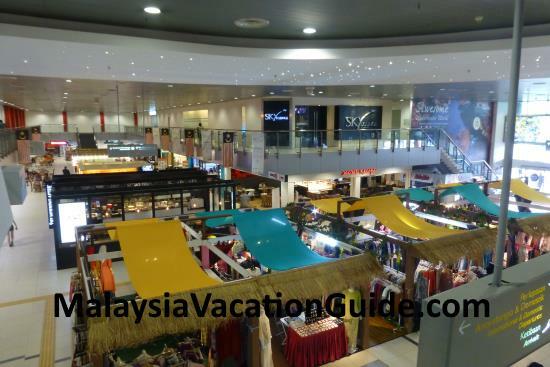 It is open to the public and is located at Level 1 of the terminal. The many food and beverages outlets. Wrapping services are available at the terminal. 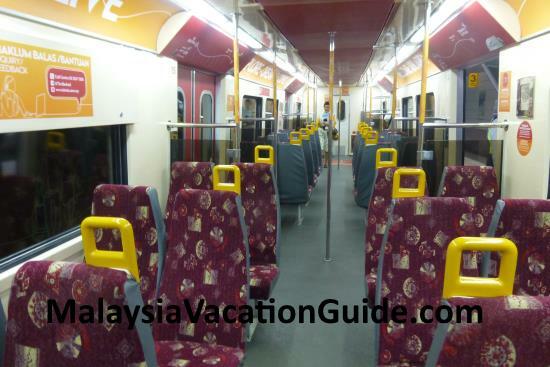 The best way to come here by public transport is using the recently launched Skypark Link KTM Train. It is now in operation since 1 May 2018. 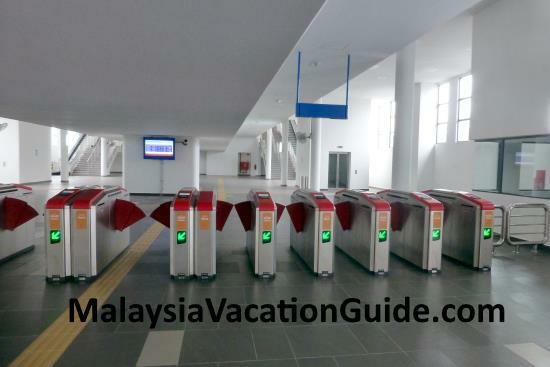 Skypark Terminal, Subang Jaya and KL Sentral are the three stations that are in operation. 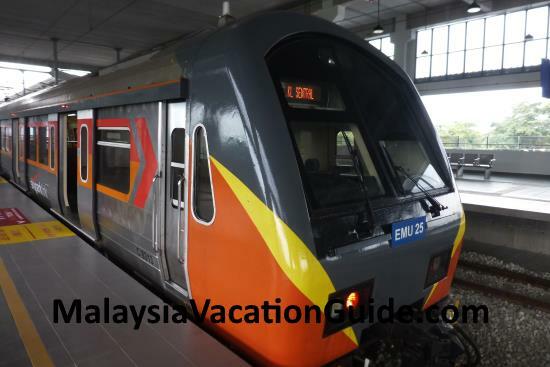 It will take about 30 minutes for you to go to KL Sentral from Skypark Terminal. WIFI on board is FREE. The Skypark Link Station is located across the main road. Use the pedestrian bridge to cross the road. It will take about 5-10 minutes walk from the terminal to the station. Pedestrian Bridge connecting Subang Skypark Terminal to the Skypark Link Train Station. 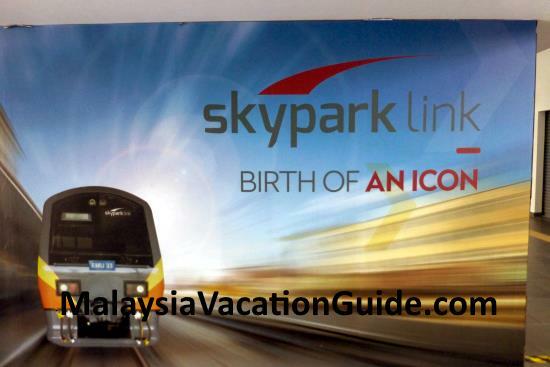 The Skypark Link Train Terminal is located opposite the main terminal. Automated Ticketing System. The station is also disabled friendly. The air-conditioned seats in the train. If you are in a hurry or have many luggage, you can use the taxi to go to your next destination from the airport. 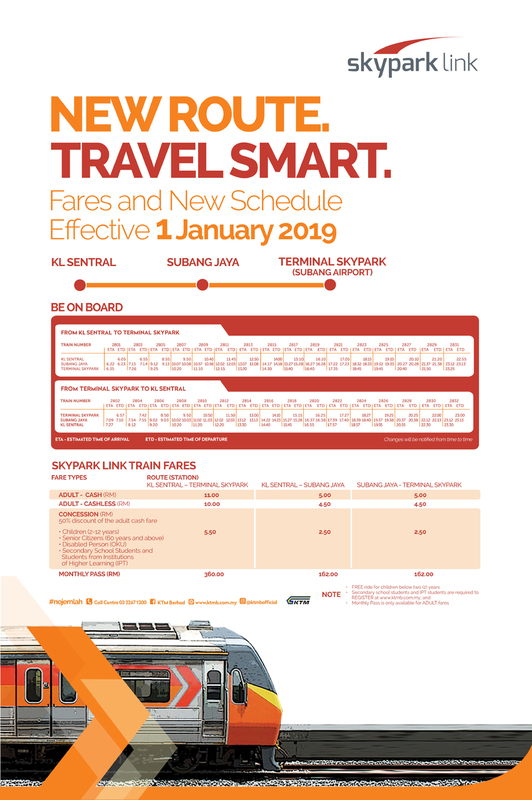 You can purchase the ticket at the taxi ticketing counters near the information centre before going out of the building. Both limo and budget taxis are available.